Chrissy Teigen was photographed wearing Lili Claspe as she hosted the 4th of July Pool Party Cookout at the Revolve Hampton's House yesterday. 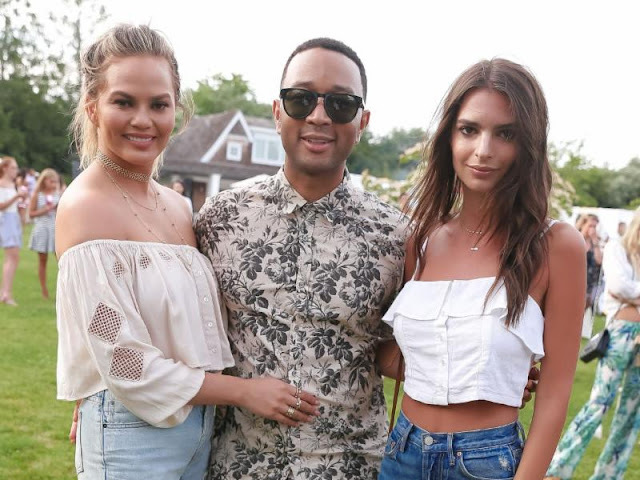 The new mom posed with husband John Legend and fellow model Emily Ratajkowski while wearing Lili Claspe's Lana Choker in Gold ($165) and the Nina Layers in Gold ($100, www.liliclaspe.com). 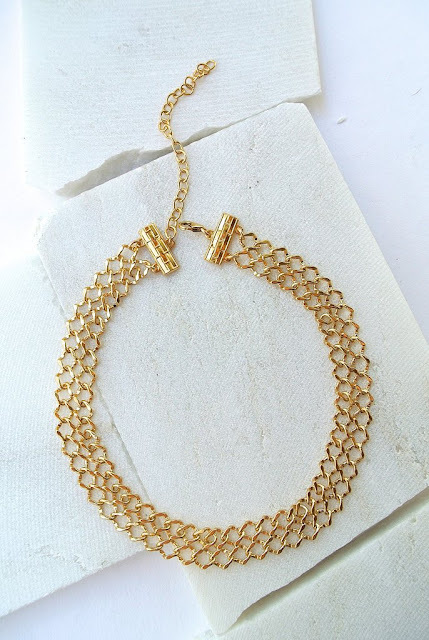 Below is another photo of the jewelry worn by a fashion model. Another look at the other necklace. Christine Diane is a beautiful American model. She made her debut in the annual Sports Illustrated Swimsuit Issue in 2010 and, alongside Nina Agdal and Lily Aldridge, appeared on the cover in 2014. She has obviously done many other exciting projects as well. Including co-hosting Lip Sync Battle with LL Cool J on Spike TV and joined the lifestyle panel talk show FABLife.